This N-FAB light bar features a unique patent-pending design which allows for installation of multiple styles and combinations of LED lights. This product has .095 wall tubing and welded all 1-piece construction which ensures rigidity and longevity. Apart from being a highly efficient part, this light bar is also a stylish and eye-popping upgrade to your vehicle. It is engineered to work with all LED light manufacturers. 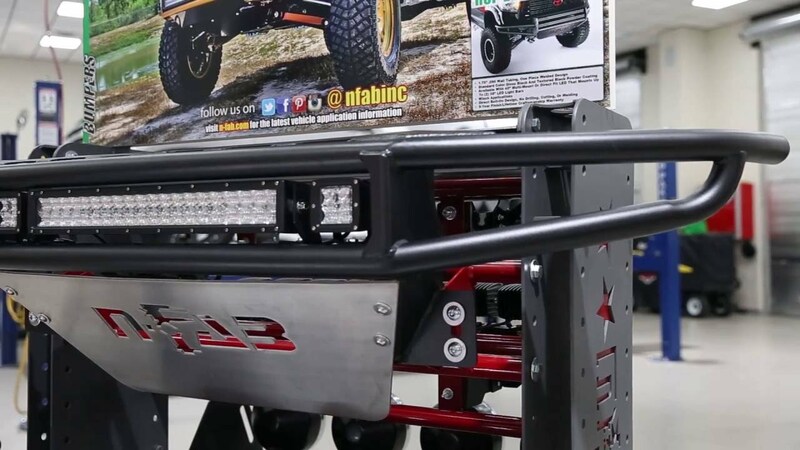 Light bars from N-FAB is an easy at home operation. The product comes with easy to understand vehicle specific installation instructions. Some trucks will need minor drilling for installation. N-FAB Roof Mounts feature durable steel construction and are custom-built for each specific application and constructed with steel for durability.